In 2013 we moved our show to a new venue at the Ingleborough Community Centre in Ingleton. It is easier for our small committee to set up and reasonably central for our exhibitors, nearer for some further for others, but the feedback from everyone has been good. Exhibitors come from Scotland, Barrow, Heysham, the North East, Manchester, Liverpool and anywhere in between. Thank you to everyone who entered the 2016 show. 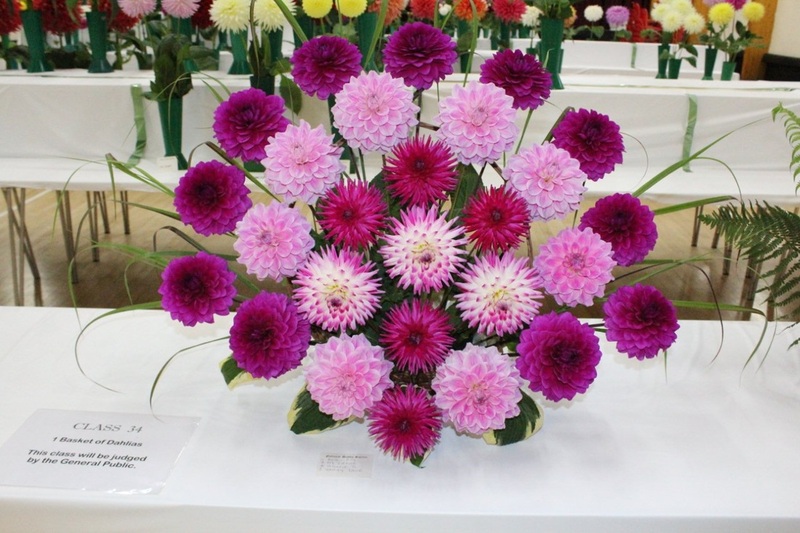 There is all night staging from 6pm until 9:45am and there are 52 classes for all types of dahlias, as well as a section for small growers and intermediates. There is ample room for setting up and tea/coffee is provided throughout the night, while bacon sandwiches are provided in the morning. Tea/Coffee and cakes are also available in the afternoon [from Hillary and co] and a lunch for the judges and committee is prepared by Anita Gott. We look forward to seeing you at the 2017 show and the schedule for that show will appear on this website before the event. 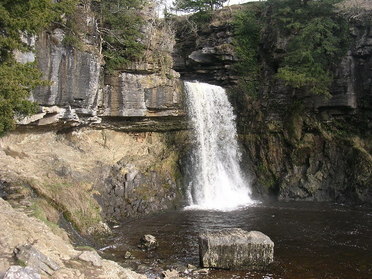 The village of Ingleton is surrounded by magnificent countryside with caves, waterfalls, and mountains. The Craven Fault crosses the area and geological and archaeological sites abound. Situated on the edge of the Yorkshire Dales National Park, Ingleton is an ideal holiday destination for outdoor activities or just relaxing in tranquil countryside. It is also an excellent touring centre with the Lake District and north-west coast only a day-trip away. The village boasts a wide range of accommodation - from bunk barns to guest houses and hotels - so can cater for most requirements. When you are visiting Ingleton for the North West Dahlia Society show why not explore all that Ingleton has to offer. With attractions such as the White Scar Caves, Ingleborough and the Ingleton Waterfalls it is the ideal location to turn the show into a idyllic mini-break. Click here to find out more about the village and also here to see what there is to do in this beautiful area of North Yorkshire. Above is a map of the area where the North West Dahlia Society show is held but for further enquiries about directions please do not hesitate to contact us.